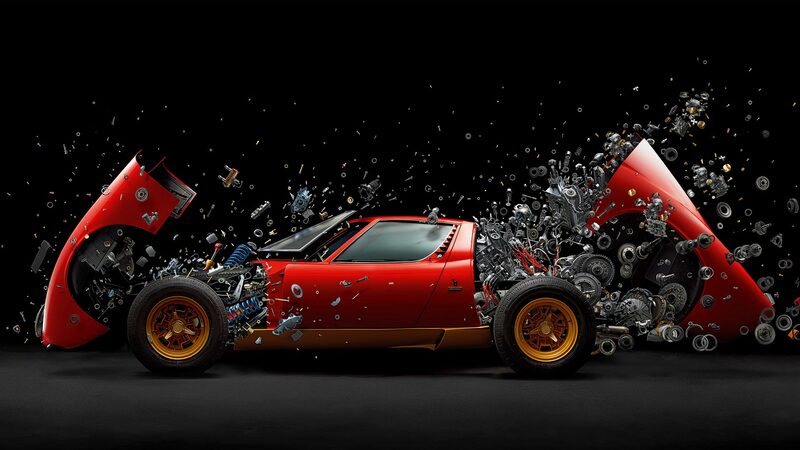 A New York-based photographer has created an incredible image of a 1972 Lamborghini Miura SV appearing to explode into component parts. The Miura is consistently rated as one of the most beautiful cars ever created, but Fabian Oefner decided it would be even more impressive in bits. A challenge from a friend formed the basis of his ‘Disintegrating X’ masterpiece, pushing him into a project which would be his most notable work to date. Swiss-born Oefner has a history of creating images that appear to show classic cars exploding.. However, this was the first time he had worked with an actual machine, courtesy of a friend who happened to own a Miura. 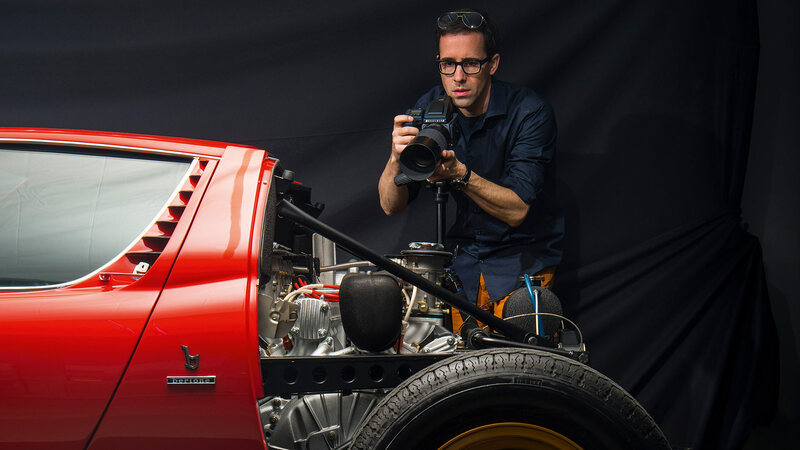 To photograph such an iconic legend as the Miura, and to be able to turn it into bits, Oefner travelled to the home of Lamborghini in Sant’Agata, Italy. In the workshops surrounding the Lamborghini factory, the 1972 Miura SV belonging to Oefner’s friend was in the process of being restored back to original condition. 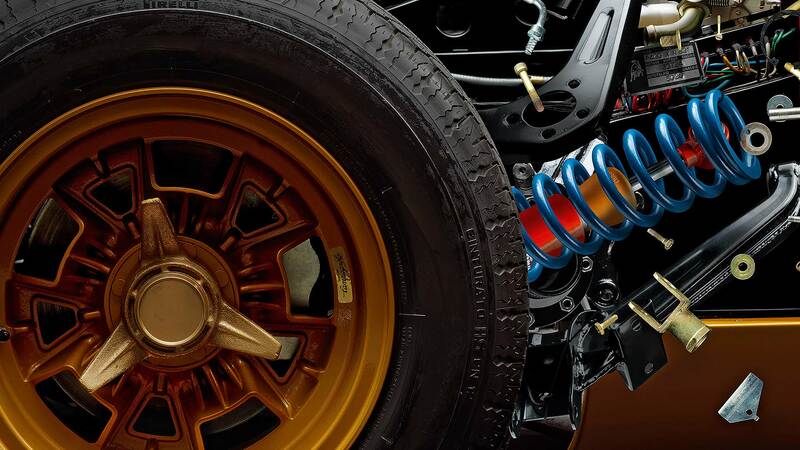 This gave him the perfect opportunity to photograph the countless components which create the Miura. The painstaking work took almost two years to complete from the start of the project. Oefner snapped more than 1,500 individual images, before merging them together to form the stunning finished product. With a 385 horsepower mid-mounted V12 engine, the SV is considered the ultimate expression of the Marcello Gandini-designed Miura. Just 150 examples of the SV were produced between 1971 and 1972, driving their values even higher. Recent examples have changed hands at auction for in excess of $2 million (£1.55 million), making it even more important that trained engineers were on hand to dismantle this Miura. The finished image is now on display at the M.A.D.Gallery in Geneva, Switzerland. The gallery was founded by Maximilian Büsser, a Swiss businessman and creator of the MB&F watch brand. 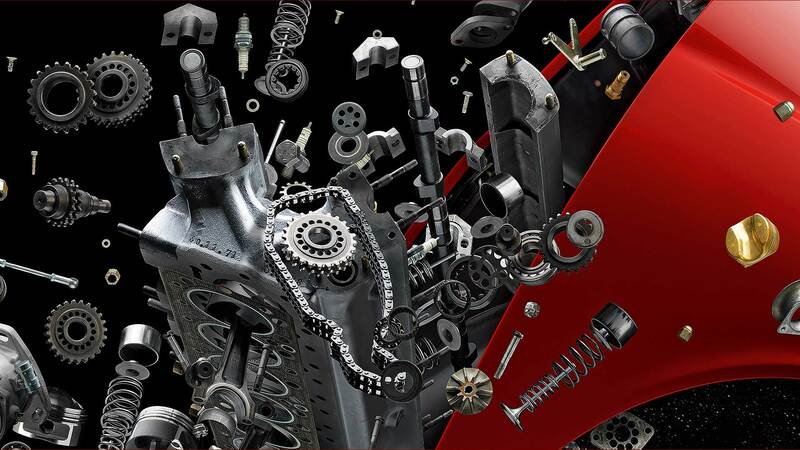 A limited number of prints of the finished Disintegrating X image will be sold in two different sizes, offering a potentially easier way to look at all the parts of a Miura. 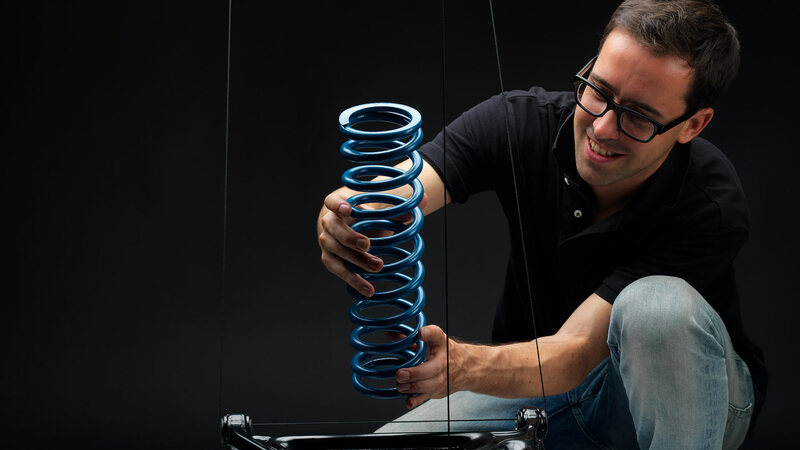 For Oefner, the challenge will be to find a subject for his next project, given that he has had the chance of work with one of his favourite cars.